Until the last century there was no permanent place of worship in Forest Green and those wishing to attend church had to be able-bodied and very keen as the nearest churches were several miles away. Holy Trinity is the youngest of the three churches in the Parish and it was a family tragedy which led to its construction. In 1892, Everard Hensley was killed in a shooting accident at the age of 18. His family was devastated and built the church in his memory. 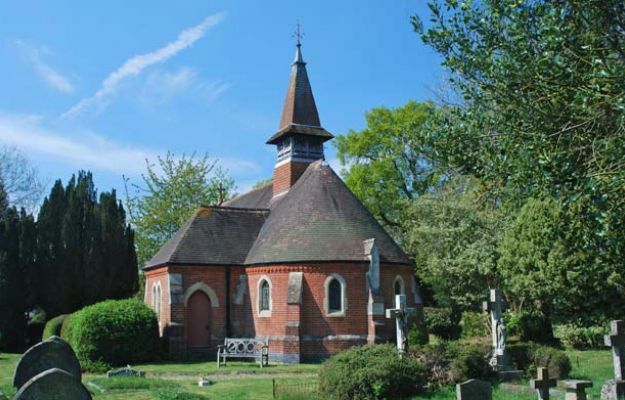 The result was a small brick-built church of striking simplicity and great beauty. It has a light and airy feel with neat proportions and delicate features. Now mellowed into its setting, it is hard to believe that it is only just a little over a hundred years old.